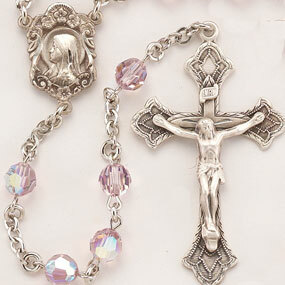 View cart “Smoked Crystal All Sterling Silver Rosary” has been added to your cart. Sterling Silver rosary made with 6mm Amethyst Swarovski round faceted crystal beads. Solid brass findings, pins and chain with genuine rhodium plating to prevent tarnishing. Exclusive designed sterling silver centerpiece and sterling silver crucifix.